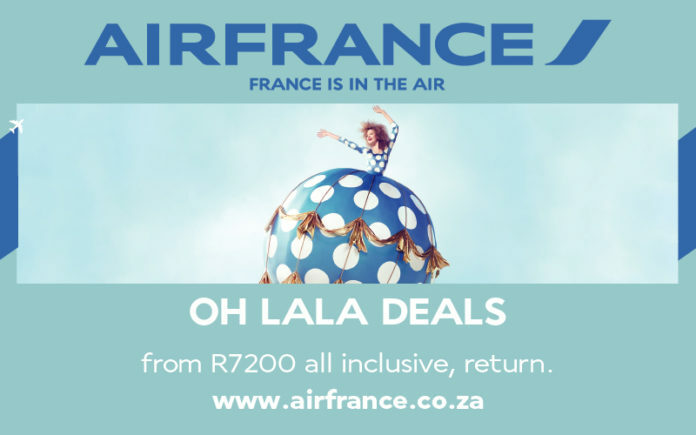 Home Companies Air France-KLM Air France’s OH LALA DEALS have landed! It’s time to book your ticket and start packing your bags, as Air France brings you this amazing opportunity to take your pick from over 30 destinations at low prices. Departing from Johannesburg, fares start from R7200, all inclusive, return. The OH LALA Deals are selling until 11 February 2019 and are valid for travel until 19 June and 11 July-30 November 2019. Other conditions apply. Book now before it’s too late!